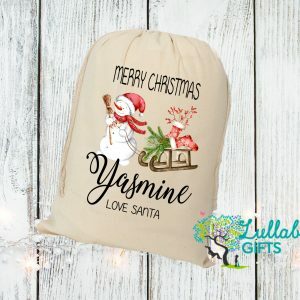 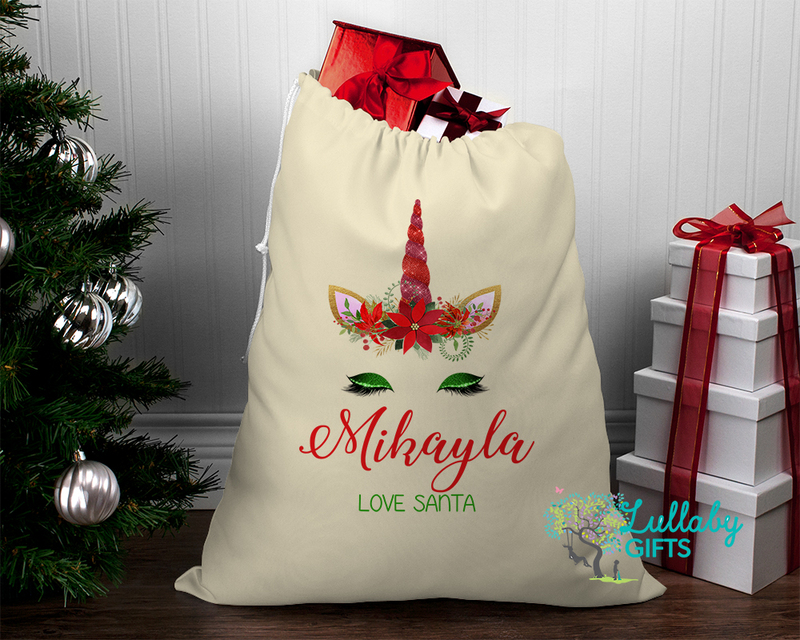 A magical way to celebrate Christmas with one of Lullaby Gifts personalised santa sacks generous size all ready to fill on Christmas eve. 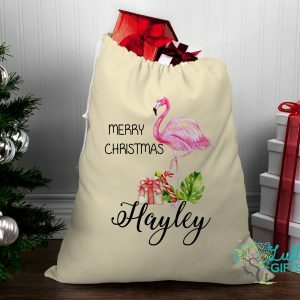 All sacks are individually handmade and printed right here at Lullaby Gifts made with with 100% thick cotton canvas material. 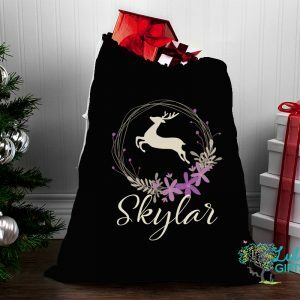 on natural and features a drawstring for easy closure..
Coldwash only – no harsh detergents , bleach and no tumble dry. Templates will be emailed for approval of name/message before printing, if you have not received template within 7 business days please also check your junk mail. 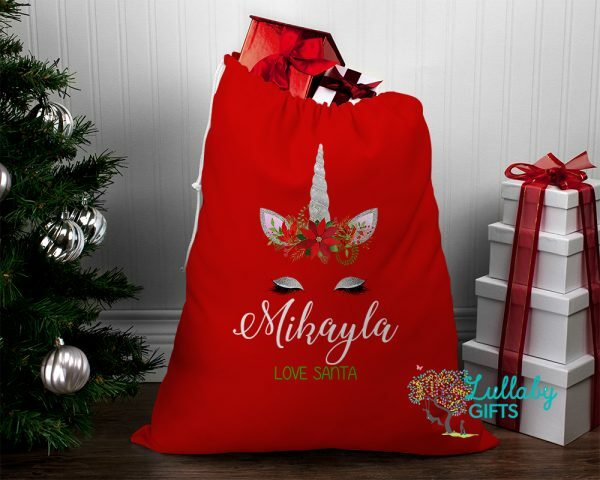 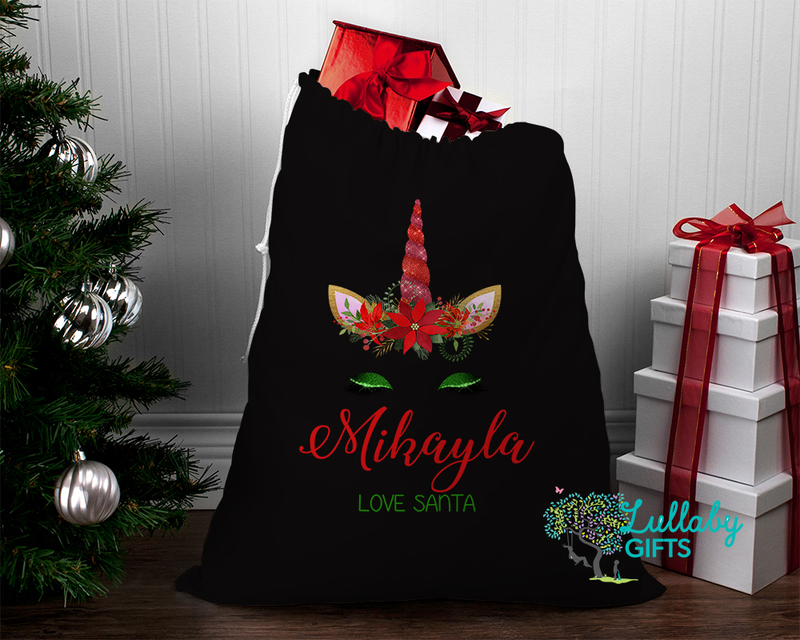 Also available – Mini and Bitty santa sacks.